Heat the oil in a pan and gently fry the chopped onion and parsley. When the onion is beginning to turn brown, add the flour and stir without letting it darken. Remove from the heat, add the pimenton and bay leaf. Sprinkle with the wine and water, season and cook for 15 minutes, stirring occasionally. Wash and drain the clams, add to the sauce, cover the pan and leave over the heat for the clams to open. Check the seasoning. 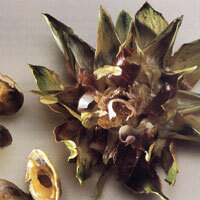 Wash the artichokes, remove the hard outside leaves and cut off the tips. Deep fry in oil that is not too hot so that they cook inside and open up into a flower shape. 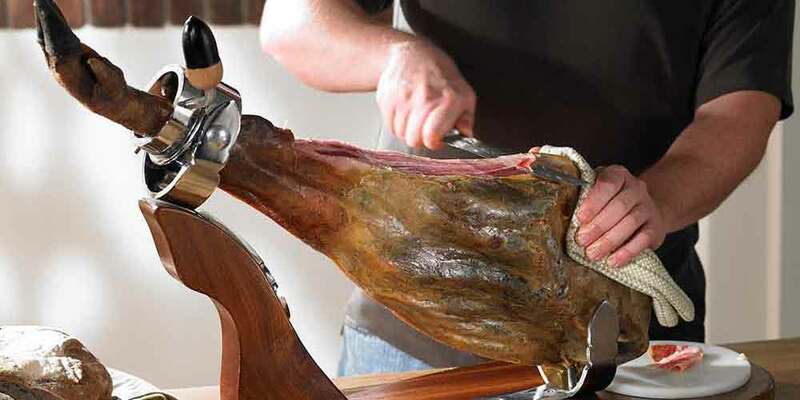 Fill the inside with the wafers of Iberico ham and serve with the clams and the sauce. Recipe courtesy of Spain GourmeTour magazine.